With the help of a $5 million donation from the Schnitzer Family Foundation, an urban art museum is coming to Portland State University. 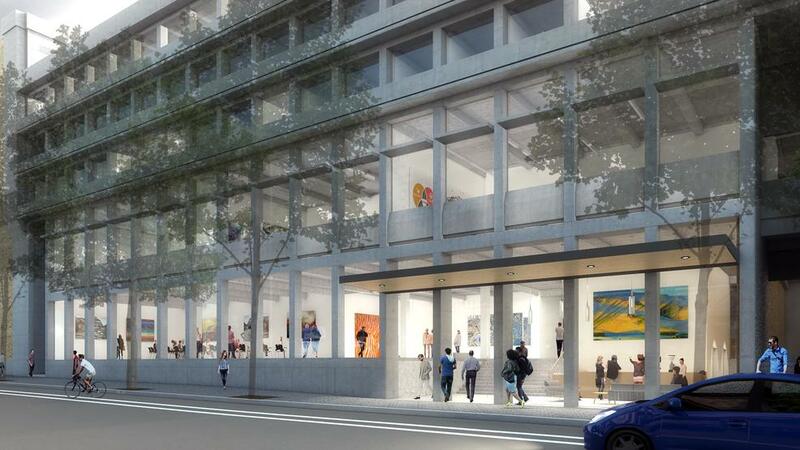 The Jordan Schnitzer Museum of Art will be constructed at Neuberger Hall, where it'll occupy about 7,500 square feet over two floors. It'll feature art from Pacific Northwest artists, faculty and students. The art museum will also be built with the help of a $60 million bond that was approved two years ago, along with $5 from philanthropy. Schnitzer maintains though the museum will be housed at PSU, it won't just serve the art students. "It is not just for the 1,200 art students, though they make the largest major for Portland State, it’s for every single department. Every single dean and every single student," he said. Each college will be able to showcase its work in the museum because Schnitzer believes all industries encompass art. PSU President Wim Wiewel said the museum could be especially popular on Saturdays as hundreds of people attend the Portland Farmer's Market, also on the PSU campus. “A lot of people don’t actually pay attention to the fact that it is on our campus. Now we will have this amazing facility that people can say, ‘I’m just going to walk through there.’ You know, there is no admission fee. You can just walk in. It will be great,” said Wiewel. Officer hurt in shootout with wanted man in Milwaukie, Ore.